Q.L. Pearce on Haunted Nights LIVE! Posted: November 5, 2014 in author interviews, Horror authors, Live interviews with writers, Thorne & Cross: Haunted Nights LIVE! Our tap shoes are ready. Our hairspray is drying. Our guest is manacled in the dungeon being fed nothing but caviar and pickles. 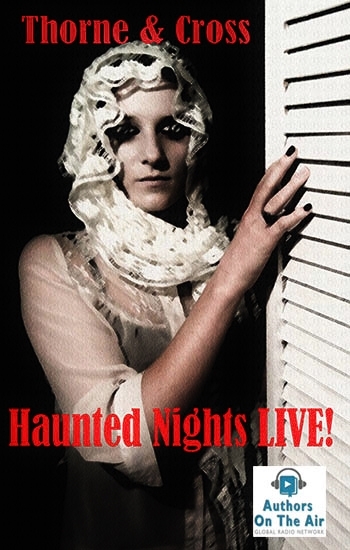 Thorne & Cross: Haunted Nights LIVE! is about to debut. We’ve decided to interview each other about our new show since we need the practice. TT: So, our first guest is children’s writer, Q.L. Pearce. 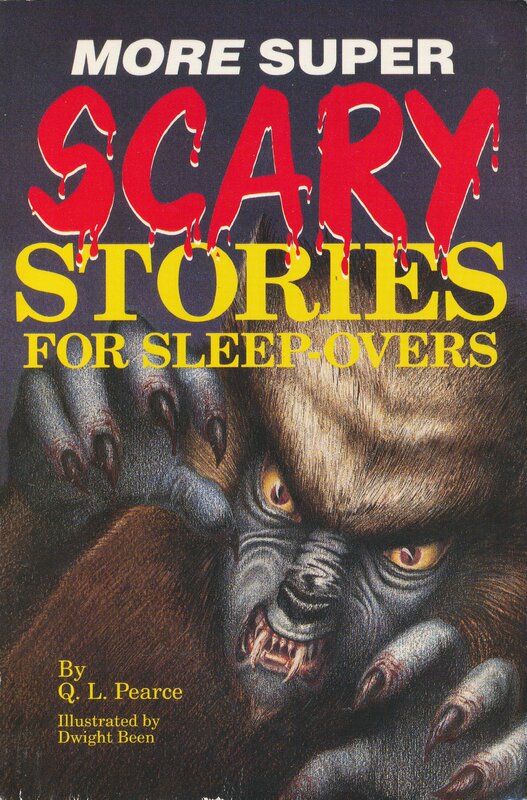 She wrote the Scary Stories for Sleepover series and a whole lot more. If you looked at her complete bibliography, your jaw would drop. What shall we ask her? AC: Let’s ask her how much her bibliography weighs. TT: Do you think we should? That seems rather personal, don’t you think? AC: You know how I like to pry. 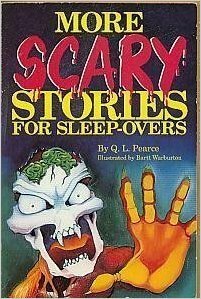 What say we ask her about some of her ghost stories? TT: Absolutely. I’ve read many of them – that’s the joy of Q’s writing.. She’s always put me in mind of Ray Bradbury with her shorts. Both children and adults can enjoy them. She’s a spooky lady. AC: I agree. I liked the one about the holes in the ceiling. TT: That’s a great one and she has a terrific real life story that goes with it. In fact, she has several great true stories. Maybe we can get her to tell the one about the Palm Springs haunted house she encountered as a teenager. That one will curl your hair! AC: Oh, yes… I love that one. I’m getting stoked about having her on! TT: Me, too. And she’s nice. She won’t swear at us for making premiere-night goofs! AC: Yeah, I’m pleased to have her as a guest for the first show for many reasons, and that’s one of them. She is a sweet, talented lady, and she’s going to be a lot of fun. TT: And if we’re good, she’ll bake us cookies! 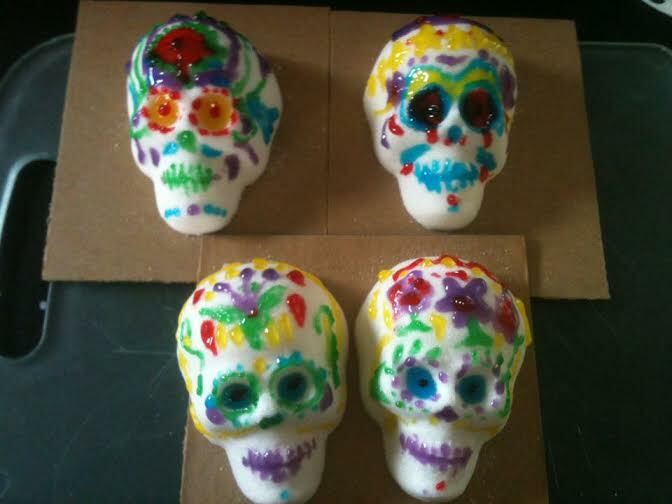 Here’s what she helped me make for Dia de los Muertos this year. Q.L. Pearce will be joining us Thursday night, November 6th at 9:00 p.m. eastern. There will be a short quiz afterward, so be on time. But if you can’t listen live, there will be podcast later; so you can take a make-up quiz later.